We have the best guides in London! Run by one of the very few fully independent tour guides in London. We are a small business, so invest fully in everything we do, from guiding to customer service. Take a walking tour of London with us and you can look forward to an experience which will be one of the highlights of your stay. Our walks are created and led by accredited and knowledgeable guides who pepper their tours with humour, innovation and fun. So as well as learning of the incredible history of this great city, you will have a good time too! We provide tours which are suitable for all ages and backgrounds, and importantly have guides who have developed styles which can be ideal for families as well as individuals. We have full time professional guides who love what they do. Interpreting the city’s heritage is their passion. 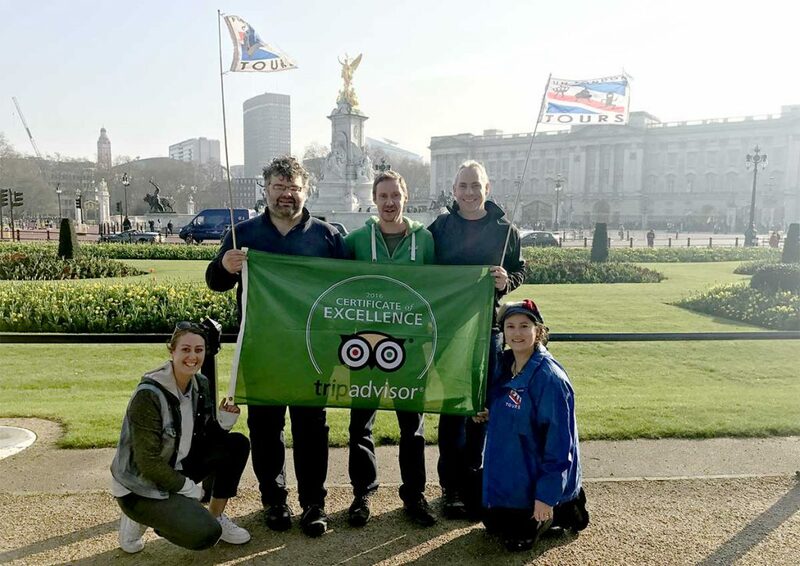 We are a small company, and are able to provide a real personal touch – our guides are very approachable and friendly – we genuinely care about making your stay in London truly memorable. And importantly we restrict the size of our groups to ensure quality rather than quantity. Our tours vary in size from 1 to 25, and by ensuring we don’t take out huge unmanageable groups, everyone benefits. We are recommended by the foremost Guard Change website, www.changing-guard.com, who not only provide access to unparalleled up to date information and notifications but just as importantly, recognise that a walking tour can be fun and energetic, as well as informative and historical. Our reviews on TripAdvisor speak for themselves…..So come on one of our tours, unlock the story behind the facade and go back home with an experience that no other tour company will match!